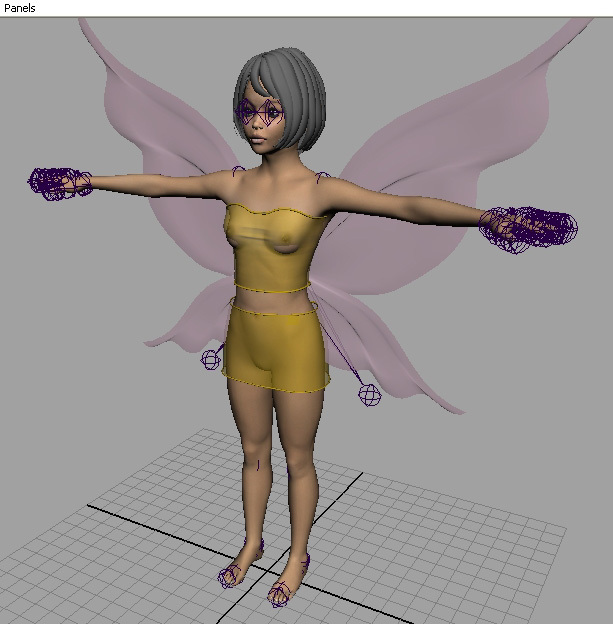 Now you can easily use hi-res human figures in your Maya work. Even the newest 38K polygon Victoria 3 models from DAZ! 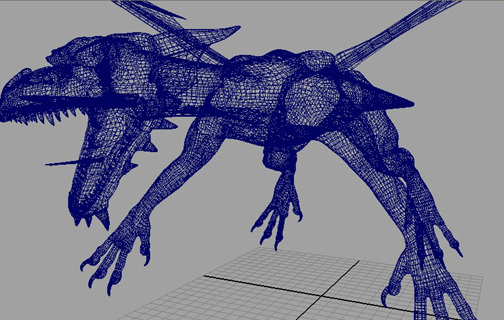 This plugin allows you to move complete figures from Poser to Maya. Creates welded single mesh with no normal problems. Keeps all Poser named parts and surfaces. Imports all material colors, texture, trans, reflection and bump maps and settings, applying them correctly forMaya. Imports Poser skeleton and joint positions. Loads multiple figures from a CR2 file and will also load props, each as a separate object. Loads external props, props with morphs and inline geometry props. Parents and positions figures and props. Optional scaling of props. Auto skins the figure using either smooth skinning or rigid skinning with options to use the Poser part definitions for skinning and for auto creation of joint lattices. Has a create character function. This allows you to 'spin the dials' in Poser and create a new character and when you import it into Maya, all the creation morphs will be applied to the base mesh instead of being loaded as morphs. This helps reduce the number of morphs to a Maya manageable level. It functions by applying, at the dial setting, any non-zero morphs and loading all morphs set to zero to use for animation. You can also flag morphs that are just to be dropped and not imported. A more efficient way to create characters in Poser for Maya! Now also uses Body level Poser dial settings as well as part level settings when merging character morphs. This plugin correctly parents all bones. 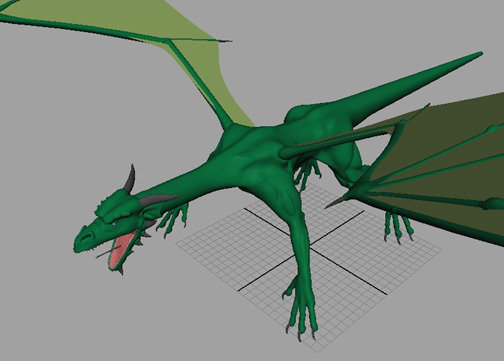 It also scales, moves and parents props and secondary figures that were in the CR2 file. Created a completed weight map set. Joints still have to be edited (but hopefully not for much longer). How much depends on which skinning option you choose. The plugin does create a fully skinned model, so the characters are animatable as is, but the joints need to be smoother. Note - pz3 / pzz support in CR2 Loader is currently the same as cr2 / crz - figures and props, we do not import the animation data from the pz3 / pzz files. I have only come across one issue: morph capacity. 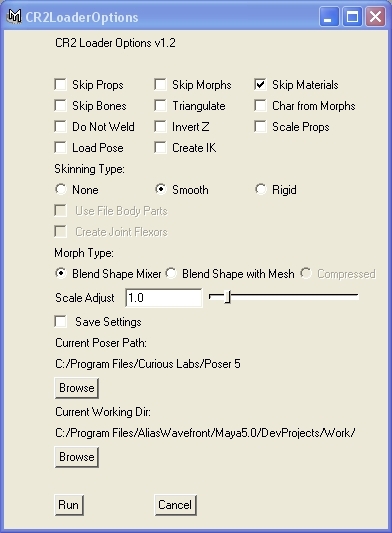 The biggest problem with these figures in Maya is the large memory requirements for morph support. Using the blend shapes system I can load figures with 125-150 morphs on my 1.5G system. I can not load Vic3, DAZ Dragon or Vic or Mike 2 fully loaded with morphs. So the CR2 Loader supports three morph formats - two using blend shapes - the first with the morph meshes removed and the second with the morph meshes still present so you can edit them. (I can only load about 100 morphs with meshes on my system.). The other mode is the Greenbriar Compressed morph. We decided that we would have to build a morph system that would allow the higher morph count figures to be easily run in Maya. And we wanted a morph animation interface where you could control all of the morphs for all characters in the scene from one panel. This product is scheduled to be released for Maya in September. You can pay by Paypal from our order page or by check by mail. When we are notified by Paypal or recieve your mail payment, we will email you a plugin to read an id number that we need to create your license. On recieving this id number back, we will email you the plugin and license key. Scroll down for more examples. Alexis face in Maya render close up. Trans map on eyelashes. Princess Mandi. Dress and Sandals were moved up slightly to align. They are conforming and would snap together in Poser. Our Conforming tool is not yet available for Maya. Fairy alexis with default costume and colors.Unretouched. The shirt needs to move down a bit.Conforming tool, which aligns the bones snaps this correctly in place. Or it can be adjusted down by hand. PT Mill Girl w/ Cayenne hair by Thorne. User Interface Hardware Texturing. PT Mill Girl w/ Cayenne hair by Thorne. Rendered image showing trans maps applied to hair and eyelashes. Notice good alignment of the four props. DAZ Vic 3 standard with hi-res maps.